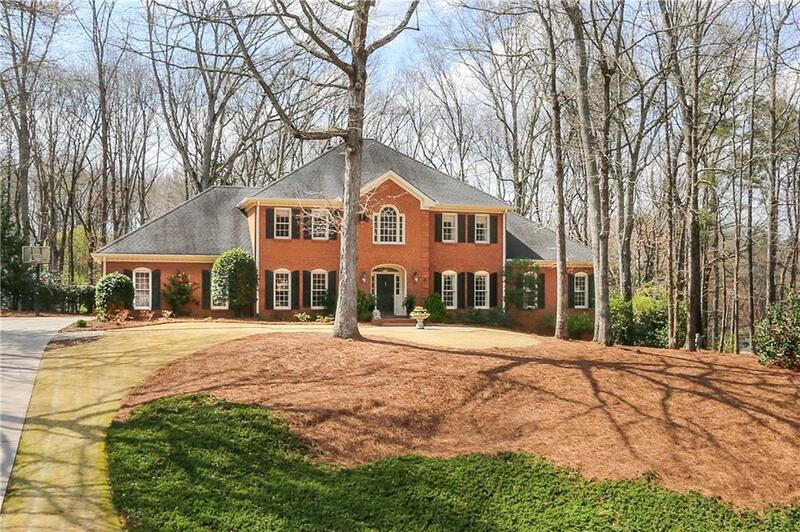 Phenomenal 4-sided brick home in sought after Brookfield w/ master suite on main. Beautifully landscaped, private, .49 acre setting. 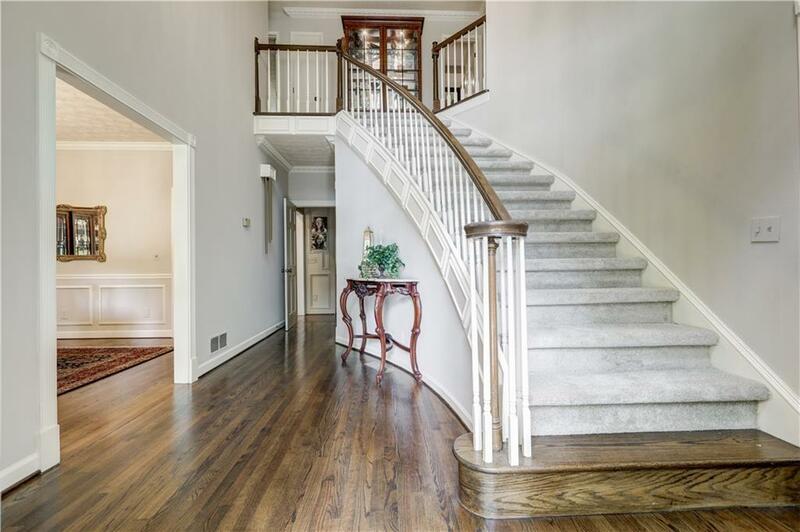 Dramatic 2 story foyer w/ curved staircase. Gorgeous hrdwd flrs. Formal liv rm/study &formal dining rm. Updated kit w/ granite,SS appl, & charming casual dining rm. Inviting fam rm w/ stone FP, built-ins,& wet bar. 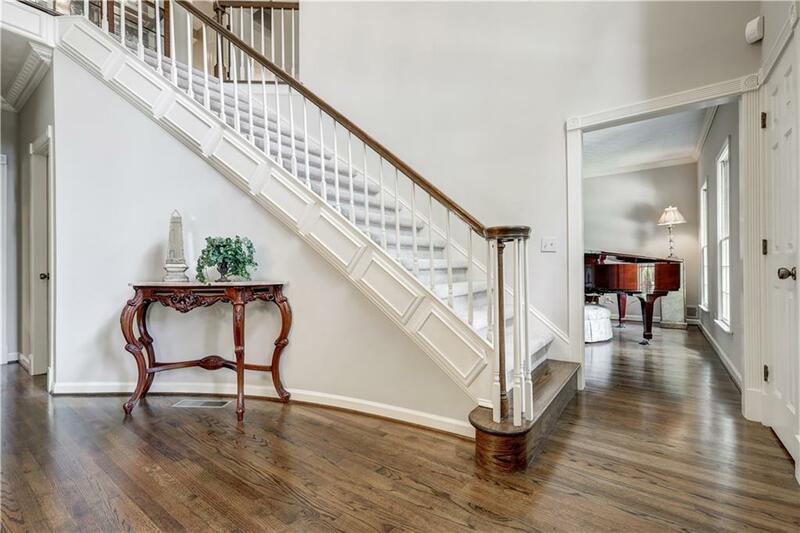 Gracious master suite w/ hrdwds, updated bath. Upper level has 4 bdrms & 2 updated baths. 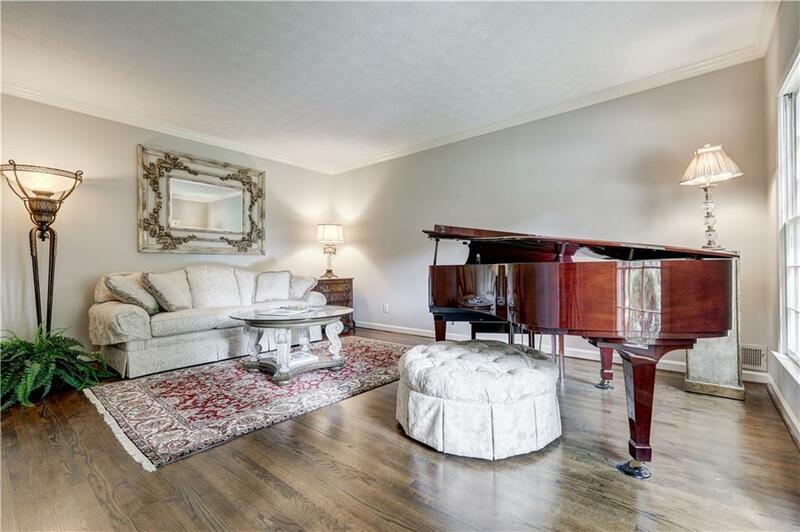 Fin terrace lvl w/ amazing theater rm, FP & half bath. Walk-out stone patio from main lvl. Newer HVAC systems. Top Roswell schools!